Read in 160 countries with 188,000 annual circulation, Pipeline has been in the industry since 2003. The magazine focuses on the issues that enable service providers to build a connection to the leading industry trends, technologies and suppliers. Pipeline is using bigDAWGS’ NFC Brochures and Greeting Cards to launch the magazine’s 8th Issue of its 13th Volume. 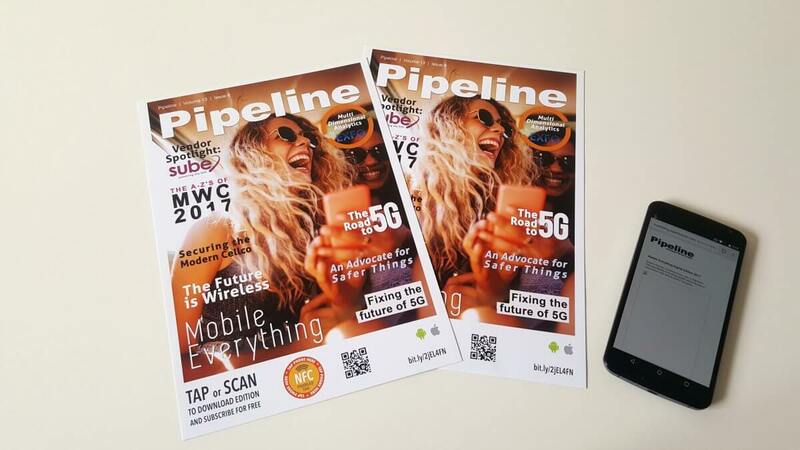 Easily tap or scan your phone on the NFC sticker to download the edition and subscribe to Pipeline for free!